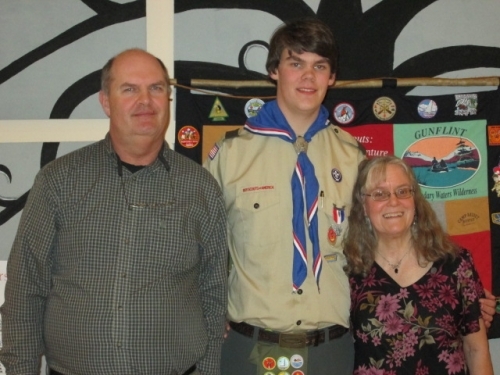 Steve Bailey was awarded the rank of Eagle Scout in a ceremony this past Sunday. Blacksmithing in general, and Alex Bealer in particular were highlighted as big influences in his life. An achievement you will be proud of for a lifetime! Great job! Congratulations! Great job! This will be an important step in your future success.